Jo Wimble-Groves is a motivational speaker and expert in leadership and management. She specialises in encouraging and motivating women to become more confident in the workplace. As well as speaking at events, Jo also runs workshops for businesses and schools, to inspire confidence in women, helping them to become business leaders or take the leap into entrepreneurship. She draws on her own experience as co-owner of Active Digital, an award winning mobile communications company, which she has operated alongside her brother for the last twenty years, since she was a teenager. Jo writes a popular blog ‘guilty mother' about her experience juggling work commitments and motherhood and has gained an impressive following in the last twelve months. She is a contributor for Huffington Post Parents and been featured in The Times and Cosmopolitan magazine. 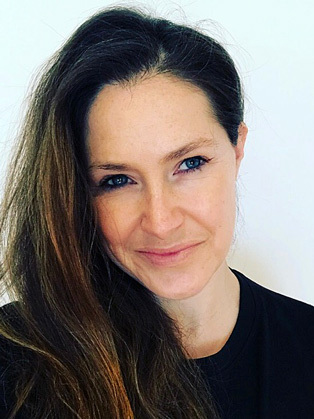 As a freelance writer, Jo shares her business and leadership advance with a number of newspapers, websites and magazines, including The Guardian, Training Journal and InStyle UK. Jo Wimble-Groves is an inspiring speaker and has been a regular guest speaker at many events. Jo talks on an array of subjects from tech to social media to women in business. She specialises in encouraging and motivating women to become more confident in the workplace. Because too many women have the ability to succeed and/or be great leaders but don’t always put their hands up. Jo has partnered with the former England rugby captain, Catherine Spencer, who is the founder of Inspiring Women to deliver a range of workshops, talks and events for women in business. The workshops and events are aimed at HR and L&D departments to adopt as part of their internal diversity and equality programme. They are tailored around helping and supporting women to thrive in their roles and to grow into leadership positions. The launch event had a focused message throughout the morning, which was to boost women’s confidence in the workplace. By doing so, Catherine and Jo are encouraging more women to raise their hands, which in turn will help them thrive in current roles or to progress to more senior management levels. I worked with Jo as Director at Active Digital and always found her warm and friendly personality made her very approachable and a very effective communicator. Jo’s natural drive and enthusiasm is extremely inspiring to be around and I would choose to work with her again without hesitation. Jo is the epitome of a successful young entrepreneur. She is clearly knowledgeable, hardworking, well organised and focused. But for those who think to be successful you have to be bull headed, arrogant, greedy and pushy - Jo is none of these. She is always pleasant, helpful, and mindful of needs of others - including staff and great fun. Jo makes others feel good!